This looks like a valuable and sensitively written book and I agree with all she says. People may find the paper I have written The Right to Choose a Safe Painless Death on http://www.johnbaxter.org useful. As someone with terminal cancer I fully agree with the sentiments expressed by Lesley above. I’m convinced that a change in the law would allow me to take control of the nature and timing of my death and could also ensure the protection of vulnerable people too. 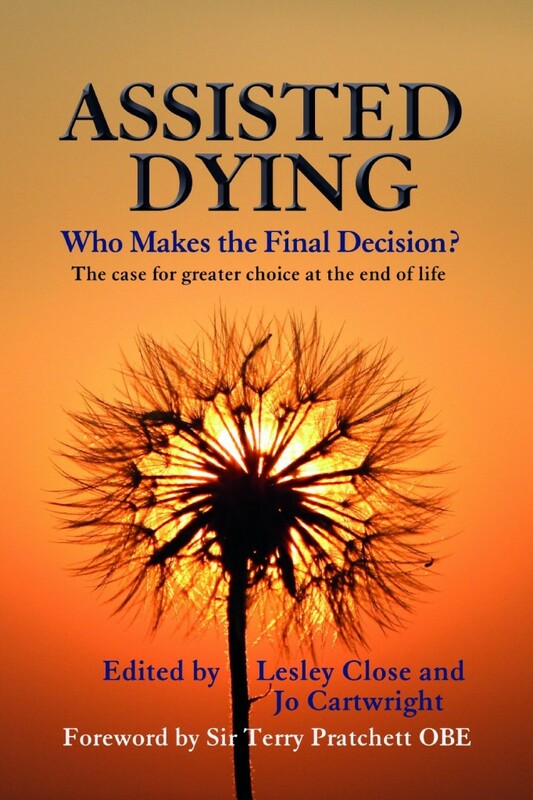 Whilst I would hope that I will no need to utilise assisted dying, knowing that the option was available would help to give me strength to face the end that I know is coming. Thanks Leslie so much for writing this in your blog – it strengthens my hand in advocating my own position which is just as yours but with the added point that decisions about when to die could be framed inside human rights thinking – it is a person’s human right, when suffering, to be able and assisted in determining when they chose to end their lives. Thank you Lesley for your honesgt and straightforward account of your brother’s end of life. We who belief fervently in our right to choose the way we end our life are very fortunate to have people such as yourself put into words the situation. I am thankful that yoyu and your borther found peace. Thank you Lesley for your honest and straightforward account of your brother’s end of life.